1. Tariff Reductions: The EVFTA will eliminate almost all tariffs between the EU and Vietnam. It will remove tariffs on 65 percent of the value of EU exports the moment the FTA enters into force, with the remaining tariffs being phased out over the next decade. Meanwhile, 71 percent of EU imports from Vietnam will be tariff-free once the EVFTA enters into force, rising to more than 99 percent over the following 7 years. 3. Market Access for EU Service Providers: In the EVFTA, Vietnam has gone further than the World Trade Organisation (WTO) in terms of market access granted to EU service providers. Additional (sub)sectors will be opened up, giving the EU the best possible access to Vietnam’s market. The FTA also contains a ‘Most-Favoured Nation’ clause. 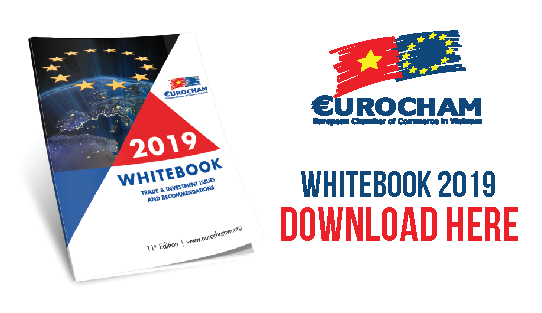 EuroCham’s report contains the views of our members on the economic, social and environmental implications of the EVFTA. Through this data, and through our interviews with business leaders, workers, economists, NGOs and others, the report shows how the EVFTA will boost not just boost bilateral trade and investment, but also help Vietnam to continue its recent progress of development and reform. 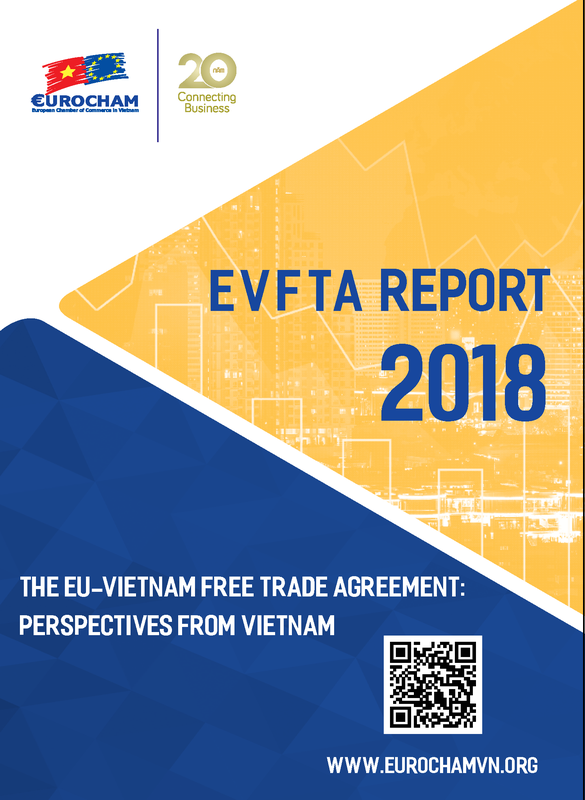 EuroCham released its EU-Vietnam Free Trade Agreement (EVFTA) Report 2018 on Monday, 8th October.